This sounds like an interesting read. I have not read a lot of books involving voodoo. That's what I thought as well! It was a neat read! 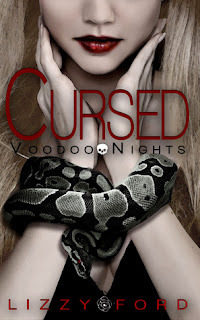 Sounds like a very intriguing read, and I don't think I've read any books that had voodoo in them! Great review, Lisa! Thanks! It was interesting, but as I said, I kinda wish for more about the voodoo. That's one very interesting cover. Kind of creepy too. I've never read any books relating to voodoo and this one looks like a good book to start. Adding it to my TBR list and loved the review! It was a pretty good story. Give it a try if you get ahold of it!